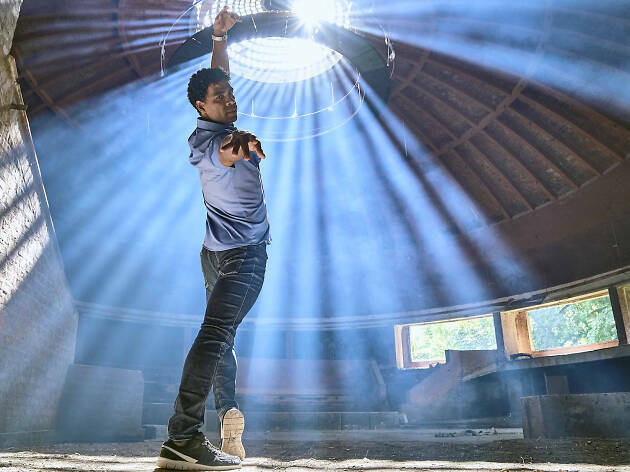 Part doc, part dance-based recreation, this sorta-biopic of Cuban ballet genius Carlos Acosta is an artistic experiment that comes off. Superstar Cuban ballet dancer and choreographer Carlos Acosta takes us through his life in unusual style in this mix of drama and dance, fiction and reality. A little like ‘Pina’, Wim Wenders’ brilliant film about the late German dancer Pina Bausch, ‘Yuli’ swings between the art and the person. But here we have the added interest of the artist still very much alive and trying to make sense of his past. For most of this film, by Spanish director Iciar Bollain and British writer Paul Laverty (‘I, Daniel Blake’), we see vivid recreations of Acosta’s life: growing up poor in Cuba; facing down racism; travelling to London to become a principal dancer at the English National Ballet; the deteriorating health of his schizophrenic sister back home; the push and pull of family and career. Occasionally, we drift out of the memories to see Acosta now, dancing or directing other dancers to perform moments in his life. He sometimes even steps in to play his own father, a determined, loving and sometimes brutal presence. ‘Yuli’ – the nickname given to him by his dad – is part biopic, part dance as autobiography. It really works, making the dance accessible for those not so familiar with the discipline, and yet also rooting Acosta’s mission to understand his life firmly in his chosen art form.